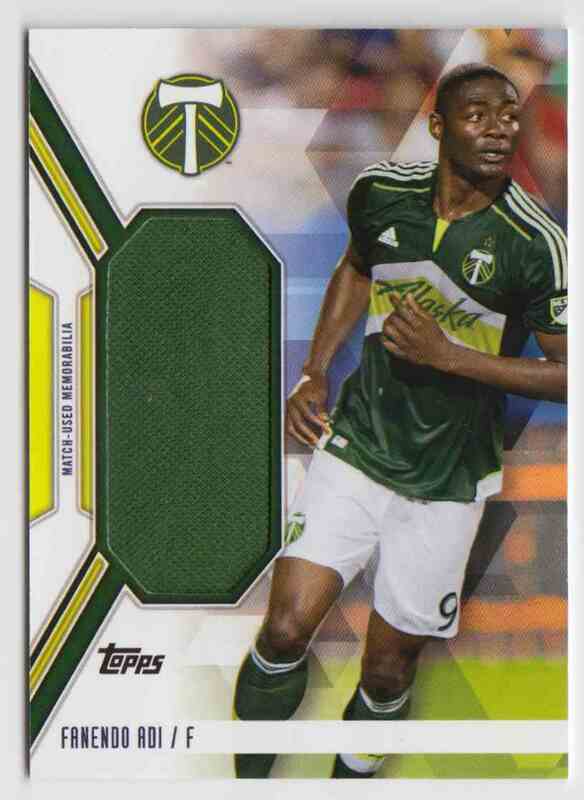 This is a Soccer trading card of Fanendo Adi, Portland Timbers. 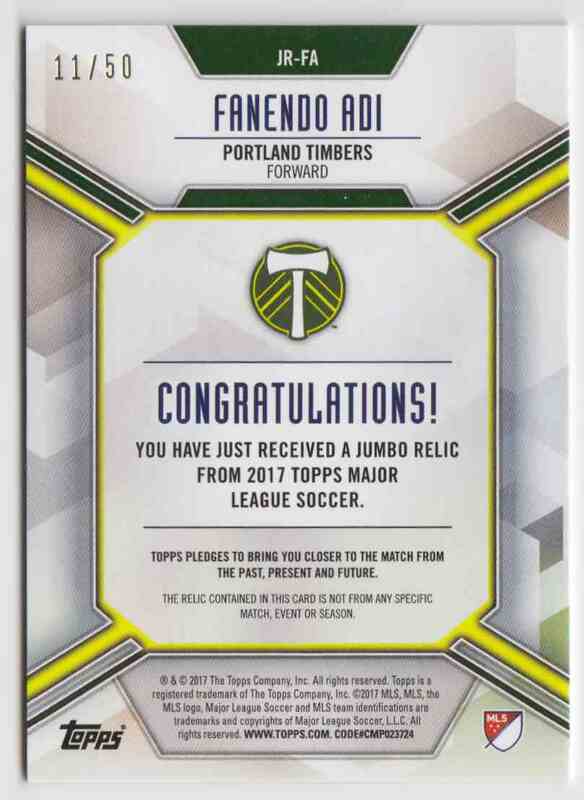 It comes from the 2017 Topps MLS Jumbo Relics set, card number JR-FA, embedded Jersey, serial numbered 11/50. It is for sale at a price of $ 18.00.